In Kennesaw, GA you deserve a good lawyer. Located just 29 miles north of Atlanta, Kennesaw, GA is one of the most dynamic suburban communities in the metro-Atlanta area. One of the most vibrant parts of the city of Kennesaw is the campus at Kennesaw State University. A student population of over 22,000 makes Kennesaw, GA both a family friendly city and an exciting college town. Because it is located just half an hour outside of Atlanta, Kennesaw students and residents alike get the benefits of both a small town and a big city. Whether you are a student or a resident, you deserve quality representation if you have suffered a personal injury. A superior Personal Injury Lawyer will ease your mind during this traumatic time. A Personal Injury Lawyer will save you the stress and hassle of the courtroom, ensuring a swift legal process with comprehensive results. At the law offices of Link & Smith P.C. 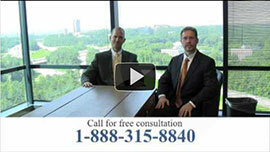 we promise the best attorneys and the maximum case results. At Link & Smith P.C., our lawyers specialize in a variety of personal injury cases including motorcycle accidents, tractor-trailer accidents, auto-accidents, texting-and-driving accidents, DUI victim representation, boating & Jet Ski accidents on Lake Allatoona, and a plethora of other personal injury claims. Our lawyers have over 40 years of combined experience, and have achieved case results worth upwards of $40 million. We give our clients individual attention, and are devoted to maximizing our clients’ case results. We provide complementary consultations, and we work on a contingency basis. This means that we get paid only if you get paid. Because our practice exclusively specializes in Personal Injury Law, we have the knowledge and expertise needed to give Kennesaw residents the kind of legal representation crucial to gaining the maximum results from a personal injury case. If you are a Kennesaw, GA resident or a KSU student and have suffered a personal injury, call the offices of Link & Smith P.C. for a complementary consultation at 678-203-4188.